It was back in September the Hall learned it was a finalist in a program called Partners in Preservation, which featured 20 sites around the country that celebrate diversity and the struggle for equality. This week, the National Women’s Hall of Fame learned it is one of the 11 winning historic sites, something they accomplished with the help of an online public voting campaign. Rebecca Petropolous is operations manager at the Hall. She says the funding will help them in their ongoing effort to renovate the 1844 Seneca Knitting Mill into their new home. “We have outgrown our space, we’ve kind of hit the limit, and the great thing about this space is as we grow into this space and the organization grows, we aren’t just going to be showing the biographies of the inductees, we’re looking forward to more programming and some changing exhibits as well,” Petropolous told WXXI News. She says they received support in the online poll not only in the Finger Lakes, but from across the U.S. “We actually got support from across the country, some of our inductees shared the information on their Facebook pages, and other things like that, so we were getting votes from all over the country and the whole community got behind us as well. 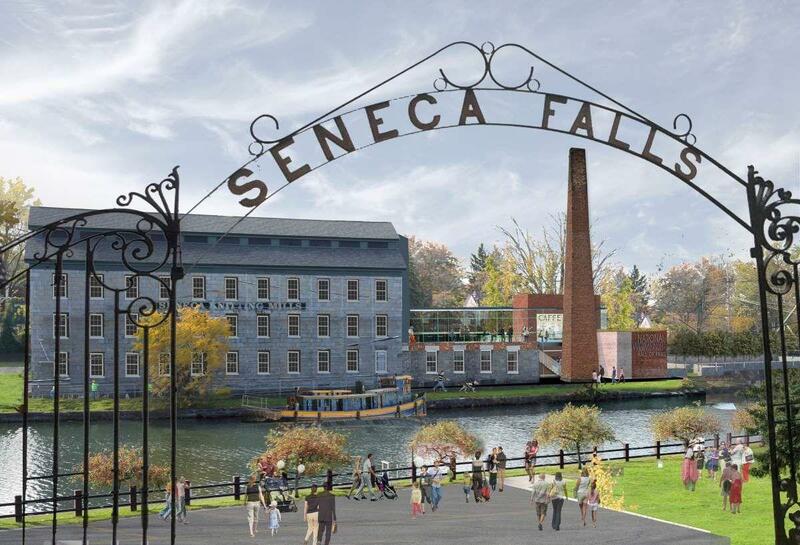 (In)Seneca Falls, everywhere I went, I’d be there to say, 'hey do you know about this vote,?' and people would say, yeah, I’m voting already." Petropolous says millions of dollars have already gone into rehabbing the former knitting mill, and this latest grant will help them fund work on another floor of the building.